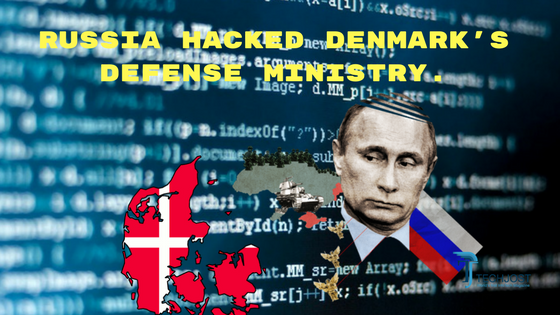 Denmark’s defense minister “Claus Hjort Frederiksen” on Sunday told local newspaper that; Russian hackers has been breaching National defense ministry for past two years. The accusations from Denmark defense minister comes after a report from The Center of Cyber Security was released. It’s believed that Russian hackers (backed by government) has gained access to the email accounts of defense ministry employees in year 2015 and 2016. The report says that no confidential data has been accessed however, the access to the employees accounts is very concerning. In his interview the minister has directly named Russian government as the culprit of these attacks. This is not the first time Russian hackers backed by Putin regime has attacked a state department of another country. United States has been facing this issue for quite sometime. Hilary Clinton hacked emails matter is well known and U.S security agencies has already said that Russian hackers backed by their government were behind the attack. The report from the Cyber Security unit of Denmark’s defense intelligence service unit has clearly said, A foreign player (country) has spied against Danish authorities. Russia is a major player around the world, when its comes to cyber attacks. The Cyber Security department of Russian government has spied on its enemies for a long time, which includes U.S and European countries. The cyberwar is a major threat world is facing right now. Countries like Russia and North Korea are using their Hackers to attack the corporate sector of their enemy states and steal the confidential information from their state departments. I have recently revealed that; How North Korea and U.S are currently engaged in a cyberwar. Cyber Security has now becomes the major tool for any country who wanted to spy on their enemy states. When we talk about Cyber Security China, Russia, U.S, U.K, North Korea are major players with excellent cyber security departments backed by their governments. Rest of the world is lacking behind this aspect of national security and Denmark’s Defense ministry security breach is the latest illustration. The threat of Cyber attacks on Denmark’s authorities and organizations remains extremely high according to The Center of Cyber Security Denmark. Russia released an official statement on Monday; where they denied their involvement behind this attack. Kremlin spokesman Dmitry Peskov said, “Russia as a state does not do hacking attacks,”. The statement seems just the rhetorical denial something Russian government is doing for a long time. Next Post: iPhone 8 Edition rendered pictures – It’s amazing!